At 180 Medical, we always love a challenge for a good cause. When it came time to raise money for a local adaptive sports event, we got creative. We decided to start the 1st Annual 180 Medical Pie Palooza. The idea was simple: we would donate money into jars of a manager, and the two managers with the most money raised would get a pie in the face! 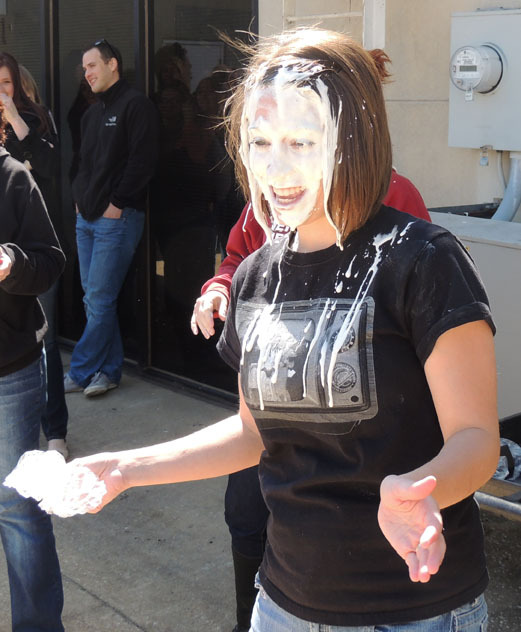 It was a chilly day in Oklahoma, but we still gathered outdoors to watch managers get pied! To keep the suspense rolling, the manager with the most money in their jar was not announced until the official pie-throwing event. 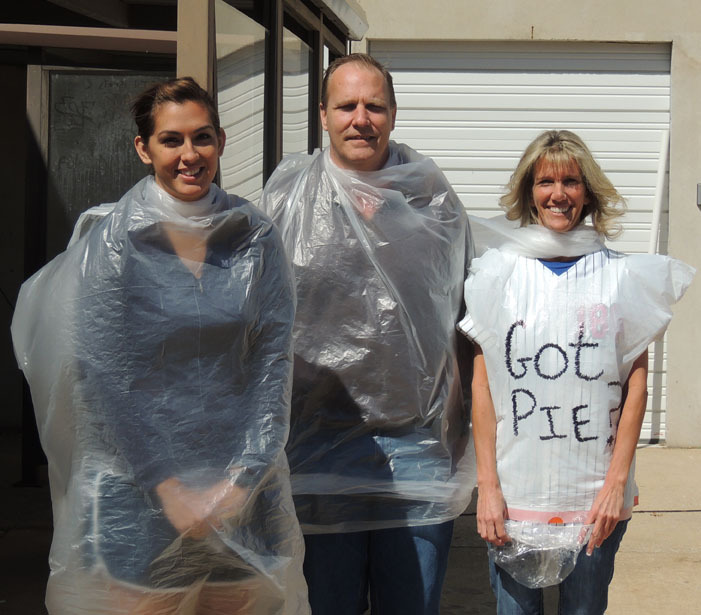 Even though there were 2 winners, all of the managers who participated ended up getting a pie in the face! They were all great sports about it. We all enjoyed helping raise funds for the wonderful cause. The fundraiser turned out to be a smashing success, raising almost $2,500! This money goes directly to benefit the UCO Endeavor Games. The UCO Endeavor Games is a weekend for athletes with physical disabilities. It is a nationally recognized competition that allows all athletes with physical disabilities to participates in a multi-sport event. Athletes from all over the United States come to Edmond, Oklahoma to participate. Many 180 Medical friends and customers participate in the events, and our employees often attend the games or volunteer to show their support and cheer everyone on. For more information on the Endeavor Games, visit http://www.ucoendeavorgames.com. Our goal at 180 Medical is to provide you with unparalleled service. Take a look at what our customers are saying. 180 Medical has been voted one of Oklahoma’s Best Places to Work for a reason. One of our fun incentives is the unique way we celebrate our employees’ five-year anniversaries with our company.